Despite being credited as Hitler’s manifesto of terror and anti-Semitism, the endurance of public interest in ‘Mein Kampft’ across Europe continues to surprise observers. 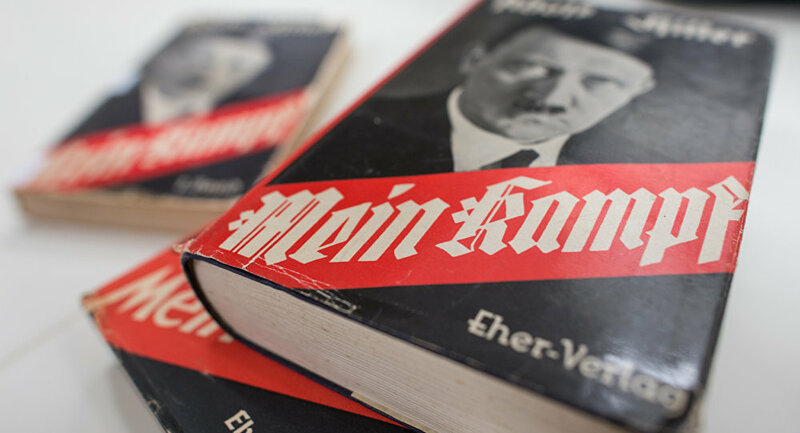 Following a 70-year ban in the Netherlands, Adolf Hitler's ‘Mein Kampf' appeared in bookstores across the country in August, and has since become a bestseller. According to reports, the Dutch translation titled ‘Mijn Strijd,' has maintained third place in the country's best-selling books list. Yet, the books tardy release has also been met with a storm of controversy. Reportedly, newspaper Op-Ed writers and angry television pundits have swarmed the public space to decry the release of a book that they see as the ugly relic of a bygone era that is better off forgotten. An ongoing debate has however, included more mild-mannered criticism. Hannah Luden, the director of a leading anti-Semitism watchdog in the country has been quoted as saying that, "our main concern is that it will become a cult book, and we hope that people will read it with the relevant information on hand. The publisher has a commercial interest, not necessarily an ideological one. I hope they have good intentions." On the other side of the exchange, Professor Frank van Vree, who heads the Institute for War, Holocaust and Genocide Studies in Amsterdam has been cited by Israel's Haaretz newspaper as giving his opinion on the matter. "If you want to fight evil, you have to look it in the eye. That's what this critical edition is aiming for," he allegedly said. Prof. Van Vree calls it "critical" as the new addition comes with fresh introductions at the start of each chapter pointing to Hitler's many factual errors and with unique annotations outlining unique Nazi propaganda techniques. These were penned by Dutch historian Dr. Wilhelm Melching, the purpose of which, is to "place the book in its historical context," according to its publisher, Prometheus. ‘Mijn Strijd,' has been released roughly two years after the publication of another so-called ‘critical' edition in Germany. That copy of ‘Mein Kampf' also hit the top spot among book sales to the surprise of many who thought that contemporary Germans, especially younger generations, would have little interest in that dark episode of their country's history.